On a recent episode of the Do by Friday podcast, co-host Max Temkin voiced dismissive disdain for all contemporary superhero films, decrying their preordained outcomes — the hero will surely triumph in the final act, the canonical romantic interest must survive for the sequel, and so on. I can’t disagree in principle, even though I have enjoyed so many recent super-movies. I therefore found my joy at Spider-Man: Homecoming boosted by keeping this criticism in mind, feeling delight in the ways that the story flourished within these very present constraints. Personal background: Spider-Man is very important to me. My middle-older brother Pete and I had a secret language based on the bizarre and often psychedelic 1960s Spider-Man animated series, the source of the immortal theme song everyone knows but so many more memorable moments for kids watching it in re-run. For instance, this Spider-Man would fall from great heights a lot, due to both the machinations of foes as well as the necessities of a limited-budget re-use of animation cels. Every time he fell, trumpets would blare a desperate, descending scale until the moment Spidey managed to at last snag an overhang with his web and fling himself back to safe altitudes. So Pete and I would sing this to each other, DA-da-da-da-DA-da-da-da, whenever we wanted to say “this thing we are both observing bespeaks a poor outcome”, or just “I am about to tackle you”. And so on. I read the comics too, from the mid-1980s through the early 1990s. Spidey, his company of friends and villains, and their already decades-old lore became intimately familiar to me. Even in those days before the web, resources existed to aid any obsessed young comics-reader in eagerly soaking up decades of past continuity. And all this plays into why I referred to the 60s animated Spider-Man as “this Spider-Man”, because even during his first decade or two the character’s official handlers would re-invent him again and again — here for that crazy cartoon, but there too for his frequent cameos on The Electric Company, or for a spate of TV movies throughout the 70s and 80s. Each vision of the character tweaked and adapted him to better fit into the medium at hand. It all seemed perfectly sensible to me! As such, I don’t see the 2017 film as a “reboot” in the way that the post-Toby Maguire Spider-Man movies represented. Homecoming’s Spider-Man isn’t any sort of do-over, a rewind of the character back to his starting place for yet another retelling of the origin story, bouncing it through reset cultural contexts and audience tastes and hoping enough will stick to bankroll a couple of numbered sequels before the next team of handlers reels him back to square one for another go. Instead, the new movie — paired with its prologue, embedded in last year’s Civil War — pours the spirit of Spider-Man into a wholly new vessel, like like all the perfectly normal multiplicity of cross-media Spider-Men of my youth. That vessel being not movies in general, but the contemporary “Marvel cinematic universe” specifically. They could have given Spidey the Doctor Strange treatment, clean-slating him yet again. The film’s producers instead did the character and his audience such a grand service by overtly hand-waving away his origin — look, you bloody well know it by now — and while they still rewind him back to dorky teenhood, they set his context not merely to “whatever year this movie is filmed in”, but the nearly decade’s worth of begging-your-pardon worldbuilding that the studio has exercised since Iron Man. And the two films let that already-established world gleefully pervert the canonical Spider-Man origin arc from the get-go, having a slickly agenda-driven Tony Stark of all people swooping into Peter Parker’s flat and replacing poor old Uncle Ben, smooth as a snake, and forking this universe’s Spidey far away from the oft-told self-reliant versions. Stark charms Aunt May off her feet, then fast-forwards poor Peter’s crimefighting career far more than his feeble experience and maturity can balance. It was perfect, I thought; a fresh, invigorating and completely believable (within the excesses of superhero fantasy) take on what should happen to the Spider-Man archetype when injected into this particular world. 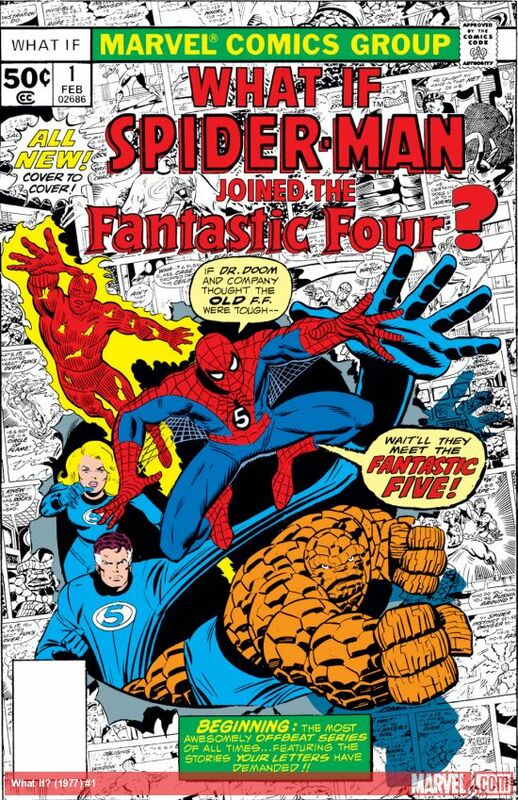 It feels like a Marvel “What If” story — What if Spider-Man™ showed up a few years later than he did? — allowed to flourish into full, wonderful character. In the end, it is character that sets the best of the current Marvel movies apart, allowing them to overcome the strictures of Temkin’s complaint. Yes, we know Spidey can’t die, we know that New York won’t get toasted by the villains, and of course he’ll end up with MJ. But: will Peter, a naive teenager, willingly remain in Stark’s shadow (as he very much remains at the end of Civil War), or will he find a modicum of self-definition? I feel certain that my long love for this character encouraged to me care, but — thrilled by the topsy-turvy opening configuration — care I did, and I loved seeing Peter find his way through the question in Homecoming. The film also breaks from formula in the way it ends. Going all the way back to 1989’s Batman, and up through the first two Maguire Spider-Man movies and beyond, the “big bad” super-villain inevitably straight-up dies at the end. Homecoming, aware of this grim tradition, raises the stakes by handing poor Spidey a reason to not let his nemesis get killed — not even ironically! No, not even as the result of his own hubris, the “oh well, I tried” excuse that has served silver-screen supers so well for so long! I feel it no spoiler to say that the villain, doomed from the start, tries his best to exeunt in this dully typical fashion just the same, and it falls on poor Peter to find a less explodey ending. And I thought that was pretty great, too.